Application Performance Monitoring has never been easier. Monitor complex transactions and user journeys with AlertSite application performance monitoring. With full visibility into application health, managing and innovating applications is easier than ever in production as well as real time. AlertSite provides object level detail, and insight into key performance metrics, so you can manage application performance and resolve issues before real users encounter them. 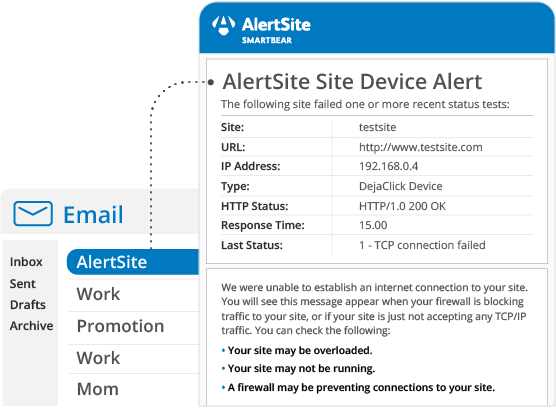 AlertSite provides a number of capabilities so that you can deliver apps that are up and running 24x7 and find issues that effect your end users before they do. Our SaaS Application Performance Monitoring Tool helps you watch over your applications to make sure they're performing, available, and functionally correct 24x7. Our intuitive platform dives deeper into performance metrics, arming you with insights into your applications in real-time, so you can fix issues before end users experience them. With visibility into your full application stack, you can leverage data to understand how application performance impacts your business and proactively mitigate problems. AlertSite eliminates blind spots in application performance, including the performance, availability and functional correctness of the APIs your applications rely on. Monitoring APIs in AlertSite is seamless and intuitive. With native API end-point monitor creation as well as SoapUI script reuse, adding new API transaction monitors is easy and instant. 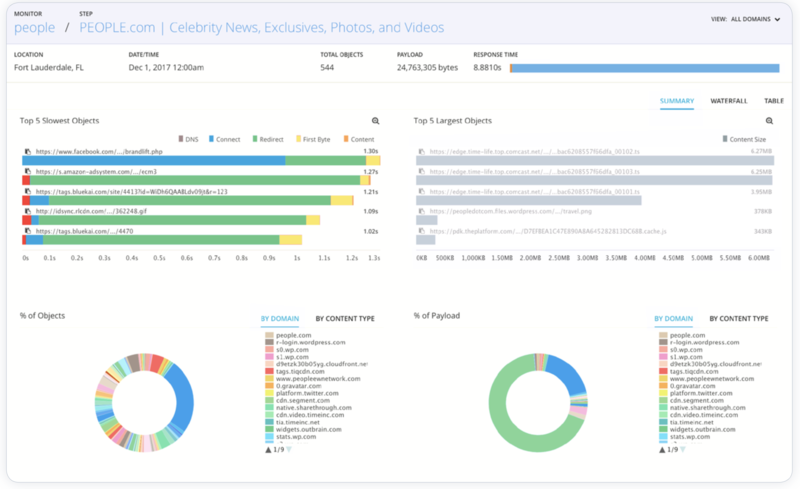 Actionable Insights into Application Performance, Instantly. AlertSite's advanced alerting and reporting capabilities send instant actionable insights from your monitoring data. 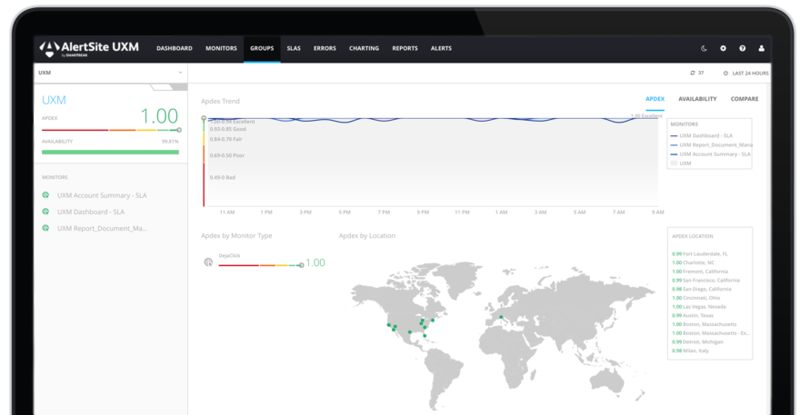 Our alerts are the fastest - sent directly from the monitoring nodes - and the most intelligent - customizable recipients, routing paths and notification methods. AlertSite integrates with leading incident management and operational intelligence platforms to help you resolve issues faster and get real time visibility into business and IT metrics.